The promotion has ended and the FREE Bonus has been withdrawn. Those who qualified will be receiving an auto-upgrade of their membership level to access the publication in due course. If you missed out on the super bonus offer, well, what can we say? We did warn that it wouldn’t last forever. Make sure you signed up for the FREE Newsletter so that you will be kept updated of other new promotions in the future. Watch out for the next announcement which is going to be a very exciting announcement regarding a new strategy! 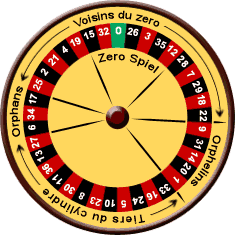 The new publication entitled ‘ Roulette: Reverse Dynamic – D’ is a system that is as close to a ‘Holy Grail’ as you’re ever going to get! Due to the amount of time and effort available for support, the quantity available for sale will be very limited and will be on a first-come-first-served basis. This will be a very high ticket item but for the serious players who are familiar with the quality of work, you will be able to easily recover the cost in a single day of play. So make sure you are on the mailing list by signing up for the free newsletter. Don’t miss out on this one!